Maggi Noodles, which has become the household name for noodles in India, is under scanner since the last few days. Even after two weeks when Maggi noodles first started getting boiled by the UP government, there is no final outcome of the result on whether the consumer should feel free to have their favourite ‘Meri wali Maggi’ or the government has taken an appropriate actions against the noodle maker which has been selling Maggi for over three decades now. But the bigger question is, ‘Is Maggi the only player offering harmful content or there are more brands that went unnoticed’? The answer is yet not clear, though this issue is a great learning for other packaged food brands who may come under scanner in days to come. Maggi Noodles, which has become the household name for noodles in India, is under scanner since the last few days. However, Nestle, the instant noodle maker, is struggling hard to prove itself by testing its product at both external and internal labs. Ever since the local food safety body in UP has found MSG content in the noodle, the brand is going under pressure getting a fallout from retail outlets like Kishore Biyani’s Future Group, Metro Cash & Carry, drop in sales and FIR and several cases from different state governments dragging the celebrities in the matter. “This has become a national and a sensitive issue now, and it is hard to believe that an MNC like Nestle will face such face problem in terms of food safety and lead content. Meanwhile, if they are faulty enough, state governments should take an action against it,” says Ashim Sanyal, COO, Consumer Voice. States like Bihar, Uttarakhand, Jharkhand and Delhi amongst others have brought the issue to food commissioners and Nestle officials. Not only this, a local court in Muzzafarpur district of Bihar has filed a case against two of the Nestle Officials and celebrities who have endorsed Maggi at some point of time including Amitabh Bachchan, Madhuri Dixit and Preity Zinta. Besides celebrity endorsement issues and safety concerns, the brand ambassadors and consumer activists are also skeptical about testing at done at government lab as some states claim of products containing MSG and Lead while others have given a clean chit to the instant noodle maker. “As far as celebrity endorsement is concerned, the government is responsible for such issues, the celebrities should not have been brought under the scanner and I doubt how capable government lab is because certain equipment used by these labs is often not upgraded and not properly calibrated,’ added Sanyal. While, the Delhi government on Wednesday banned the sale of Maggi for 15 days after finding 'high lead content', India needs to look beyond Maggi and conduct a quality check on other brands of noodles and other packaged food products including RTE foods, Juices, Beverages and snacks. However, Nestle is continuously proving itself free from the harmful lead and MSG content. 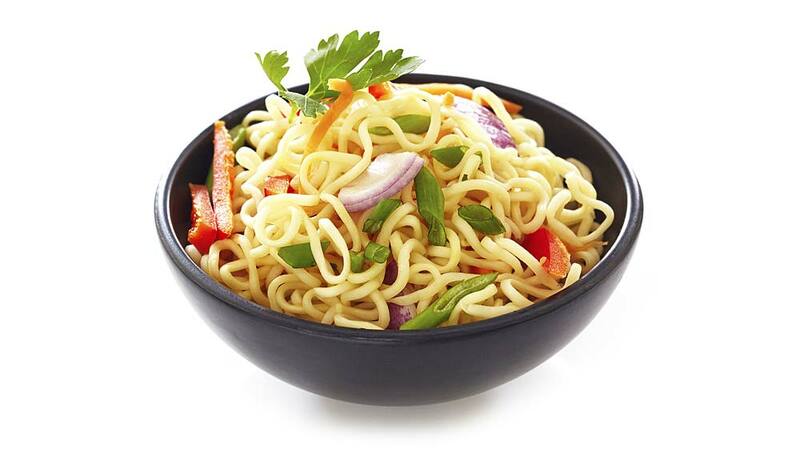 According to Nestle’s latest development on this issue, the noodle maker has tested around 1,000 batches of MAGGI Noodles in their own laboratories and also asked an independent lab to test an additional 600 product batches. Almost 125 million or 12.5 Crore packets were tested in total. The test results confirm that MAGGI Noodles are safe, with lead levels well within the food safety limits specified by the Indian authorities. Despite the fact that there are several issues that are heating up in the industry and among the consumers today, there is no strong line which one should take - whether in support of Maggi or against it to ban its consumption in the country. And to get a closer picture of how industry experts view this, Restaurant India talked to leaders like, Amit Burman, Vice Chairman, Dabur India and Chairman Lite Bite Foods, R S Sodhi, one of the largest players of milk and milk products in the country, Harish Bijoor, who runs Harish Bijoor Consults Inc, a private-label consulting firm that specialises in Brand and business strategy on how they view this issue individually. “I also believe that more packaged food is going to be under scrutiny after this issue and now manufacturers will show 100 per cent due diligence,” added Bijoor. Thus, we can see that with Maggi facing the heat, the share of Nestle India Ltd has sinked 10 per cent causing a serious concern for other global player in the country. About Us: Education is the backbone of any country and we..
Shapely Beard- The Current Trend among Men..
Three Growth Hacks for Increasing Sales..
Italian Cuisine Finding its way to Tables.. Franchise Prospects In Healthcare Industry..
How These Brands are Transforming Themselves.. Devising Comprehensive Solutions Via Elearning..
Over 27000 employees of Jubilant becomes medium fo..
Why fitness franchises can be the most profitable ..
Are schools ready for Children?.. Points on How to Maintain Balance in Business..
Why Eating Habits are Reshaping in India.. Milkshakes are Becoming Big Again..
7 Ways To Augment Customer Relationship..
Ayurveda Business – The future of medicine world..
4 Stunning Outfit Ideas for the Upcoming Wedding S..
New Chapter for Pabrai's Fresh & Naturelle..
7 Things Starbucks Experimented outside USA..